Can you believe it’s already September? It’s Labor Day weekend for us in the US, which means that it’s the last hoo-rah for Summer. I hope you all wear sunscreen and eat watermelon and spend time playing in the sun with your family, friends, cats, or books! We have a hodgepodge of links to share this week – have fun clicking! Finally! A clothing line that really speaks to me! Speaking of Cats, Charles Bukowski has a new book out this winter. I’m not sure how I feel about it, but I thought you might be interested. Taylor Swift and Law School have both been on my mind a lot lately, so McSweeney’s Taylor Swift: A Socratic Dialogue had me cracking up. If only the cold-calling in class was like this! 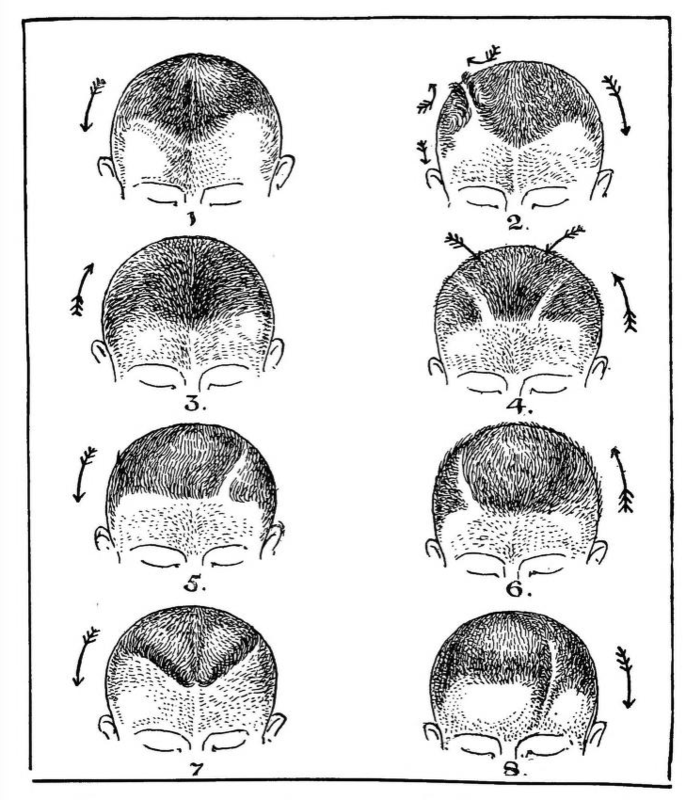 This is so fascinating to me – have you ever really thought about hair streams? There are questions of such vast, cosmic import that most of us never think to ask them. I’ve wondered why there’s something rather than nothing; I have pondered the nature of objectivity; I’ve questioned the existence of free will. But I’ve never asked why some hairs on my body grow in one direction, and other hairs an entirely different direction. That’s where Walter Aubrey Kidd comes in. He was not like you or me; his was a mind so restive, so thick with a passion for inquiry, that no mystery, however impregnable, was safe from its advances. And so it was that in 1903 he bequeathed to us The Direction of Hair in Animals and Man, taking a fine-tooth comb to a subject most of us had hardly seen fit to tousle. Hipster Barbie’s instagram is much more exciting than anything we would do. If you feel the need to one up Hipster Barbie, though, maybe this purse will do the trick? This weekend is the kick off for Alabama football! I’m eagerly awaiting to see who the starting quarterback will be – any guesses? As always, please feel free to comment with any links you would like to share for next week!